The pool was amazing and the grounds were exceptional. Owners were very friendly and helpful. The chalet has a beautiful view over rolling green hills. There is plenty of space in the garden and it has bbq facilities! (butchers in town and supermarkets only 5 mins walk away). 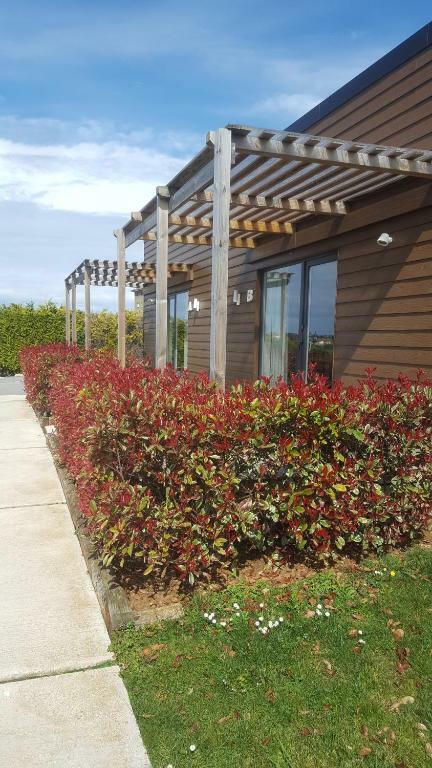 The chalets themselves are neatly designed, good quality (except the wobbly chairs), with space enough even with 4 adults. The beach nearby was very crowded in August, with cars everywhere. Thankfully the property is on the edge of town and you could avoid the parking issues by walking down the escarpment path through the town to the beach. It’s a Premium surf location and it’s just round the corner from Biosurfcamp, where they had lessons, so the boys never even had to walk down to the beach with their gear. 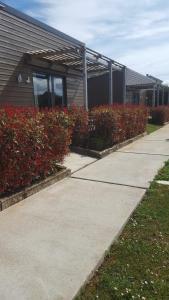 Very peaceful location, clean and comfortable with everything we needed for our short stay. We arrived and the lady who owned the Bungelows met us with great warmth. She spoke very little English but still managed to share with us the main information. All during the stay she was very friendly. The bungelows are situated in a quiet location within easy walking distance from the shops bars and a couple of cafes. The main town and beaches are a 25 min walk or 5 min car journey. The bungelows have all you need and are clean and comfortable. Would stay again. Nice big apartment. Host very friendly despite speaking no English! Loved the swimming pool. I wished we'd booked to stay an extra couple of days...we just used it as an overnight stopover having got off the ferry at santander. I would recommend, and consider returning. Beautiful setting and pool. Clean, compact and comfortable cabin which was nicely decorated with stunning view. WiFi didn't work but we were only there two days. 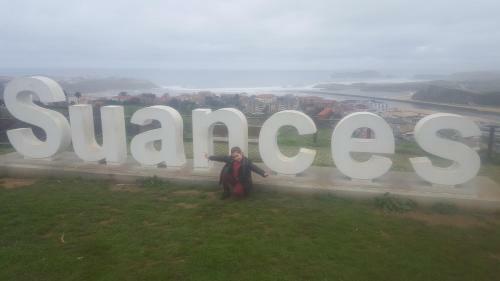 Suances is a fantastic location with lots of bars and restaurants near the beach, great atmosphere especially later in the evening. The town centre up the hill also has everything you need if you arequire self catering. Definitely recommend. Anfitriona encantadora. Los bungalóws idílicos, rodeados de jardín, con piscina, zona de juegos y picnic. Todo facilidades para check in y check out. Lo cómodo que es, la atención de la dueña. Un apartamento estupendo y las instalaciones estupendas para ir con niños. 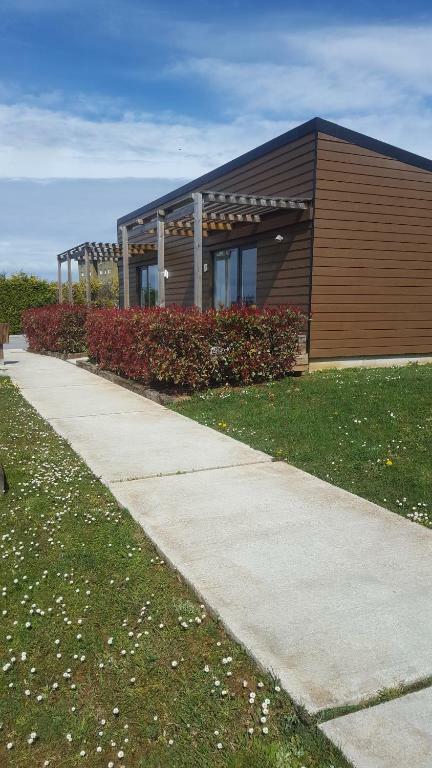 Lugar ideal para descansar y visitar los pueblos de al lado.El bungalow es muy cómodo y cuenta con todo lo necesario.La atención perfecta.Gran jardín y piscina y barbacoa. 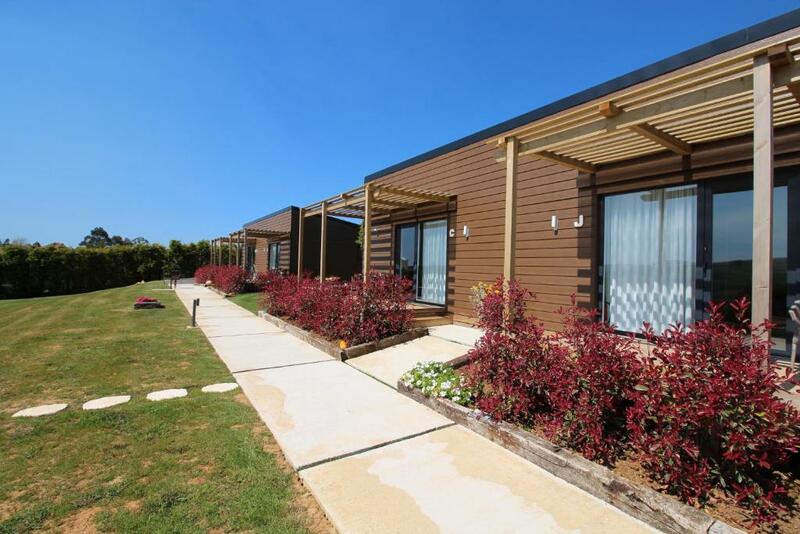 Lock in a great price for Bungalows Elma – rated 8.9 by recent guests! Offering a seasonal outdoor pool, Apartamentos Elma is located in Suances, 12 mi from Santander. Santillana del Mar is 4.3 mi away. Free WiFi is available throughout the property. The accommodations is fitted with a seating area. Some units include a dining area and/or terrace. All units feature a kitchen equipped with an oven and microwave. Every unit has a private bathroom with a shower. Towels and bed linen are provided. Apartamentos Elma also includes a barbecue. Free private parking is available on site. Isla is 24 mi from Apartamentos Elma. Santander Airport is 19 mi from the property. When would you like to stay at Bungalows Elma? This bungalow has a private pool, stovetop and private entrance. Atendemos personalmente al huesped y le ofrecemos todo lo que necesiten para que su estancia sea ideal e inolvidable. Estamos en el centro del pueblo a 5 minutos andando del centro de Suances, la plaza del ayuntamiento. House Rules Bungalows Elma takes special requests – add in the next step! Bungalows Elma accepts these cards and reserves the right to temporarily hold an amount prior to arrival. 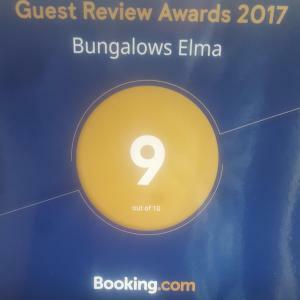 Please inform Bungalows Elma of your expected arrival time in advance. You can use the Special Requests box when booking, or contact the property directly using the contact details in your confirmation. This bungalow has zero privacy. We could hear everything which was happening in the next bungalow including full conversations. Although it was very clean the lack of privacy made the stay very uncomfortable and we had to find another place to stay. The bungalows were basically sheds in someone's back garden. The terrace was also very small and we could not use it as we would have disturbed the neighbours. It was clean and the views were quite nice. The chalet walls are thin... but guests we met over 4 days seemed nice and calm. Sure we should have been following some house rules but couldn’t make sense of the instructions in Spanish, even with google translate! The pool was too cold even in August.